Celebrating its 13th year, the Gasparilla International Film Festival is returning to Tampa from March 19 to 24. The festivities will be taking place at theaters and venues across the bay area, but a bulk of them will happen in Ybor City with some of the film screenings being held at AMC Classic Centro Ybor 10. Individual tickets are $12 each and then tickets to opening and closing films are $15 each with over 120 different films being screened. Weekday passes are $75 and weekend passes are also $75. Click here to view the different screening packages and to purchase tickets online. There you can view all the ticket and pass packages such as exclusive ones that provide VIP access, red carpet access, and access to the opening and closing night parties. This year, GIFF is now featuring the Tampa Bay Jewish Film Festival, which is in its 23rd year running, from March 17 to 24. During this special event, the festival will be featuring films by Jewish directors and about Jewish themes and issues. A pass to the Tampa Bay Jewish Film Festival with access to all those films is $125. There will be a Filmmaker Lounge located at 1600 E. 8th Ave., 2nd Floor in Ybor. It will be open from 4 to 9 pm from Wednesday, March 20 to Friday, March 22 and then from 12 to 9 pm on Saturday, March 23 and from 11 am to 9 pm on Sunday, March 24. The Filmmaker Lounge will be offering a Happy Hour with complimentary beer and wine from 4 to 7 pm for those with Filmmaker Lounge credentials. There will also be various industry panels taking place at the Tampa Improv Comedy Club and Lot 1901 from that Thursday through Sunday. In partnership with the festival, Armature Works will be hosting a Family Fun Day Saturday, March 23 from 11 am to 3 pm where there will be a screening of Incredibles 2, activities, giveaways, games. In addition, free shirts will be given out to the first 500 kids. 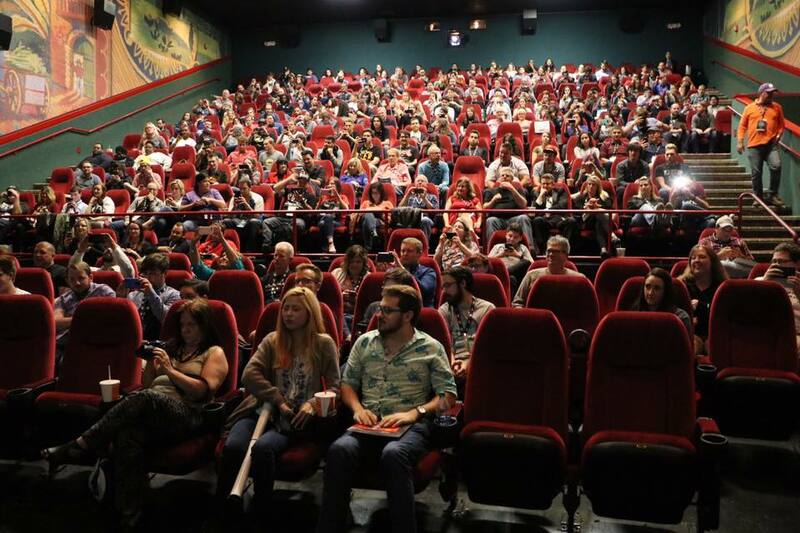 The 2019 GIFF awards presentation will be Sunday, March 24 at 5 pm at the AMC Ybor. Click here to see a list of the films and read descriptions about each of them.